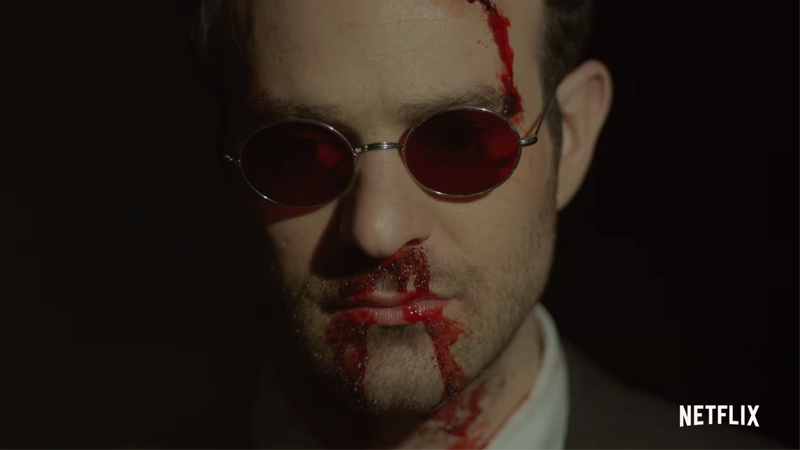 Matt Murdock wants to let the Devil out. Matty’s back. And more beat up than ever before, which is saying something given that The Defenders literally dropped an entire building on him. We’ll likely be seeing a lot more of Daredevil season 3 very soon—Deadline is also reporting that the stars of the season will descend on New York Comic Con October 6, so we’ll get a taste of just what it really looks like when Matt unleashes the Devil within there. Speaking of Catholic guilt earlier, here’s a new poster too!